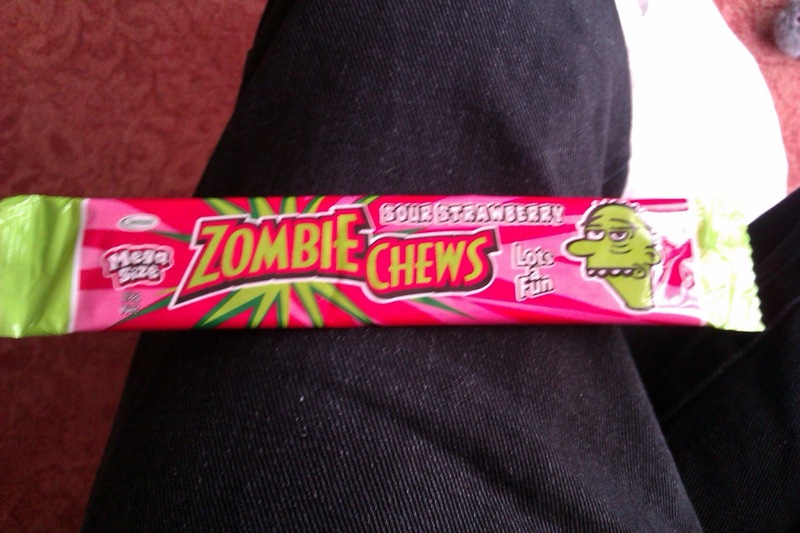 This undead chew bar came all the way from Australia. It promises to be sour strawberry but I have to say it kinda tasted like a plant, not really a sweet taste to it. There are apparently other flavours available to buy as well, I assume brain, flesh, and rot are the other three flavours. It is cool that there are zombie themed sweets, but if I were a zombie I would not stave off my taste for flesh to eat this. Good all the same, just not that tasty.